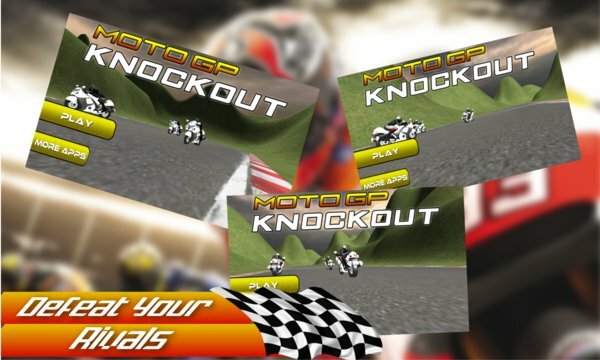 You want to have a Moto GP challenge? Then download this game and fulfill your dream. In this you can enjoy single as well as knockout championship. In single race you can choose one of the best three tracks for racing. In every track there are three level. In first level you have to complete 2 lap. In second level you have to complete 4 laps and in third level you have to complete 6 laps. Every level is more difficult then previous one. 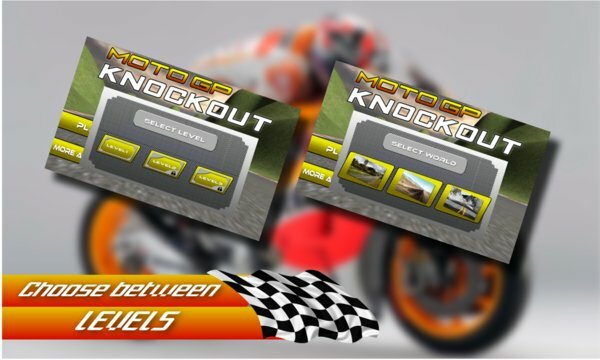 In Knockout championship, you have to compete with three other bikers. In the end of first level last one will be eliminated and remaining will start next level on next track. In the end of second level last one will be eliminated and final round will be started between top two players. The winner of last level will be champion. - Tilt (Left,Right) your Windows device for control. - To Boost your speed use speed booster on the right bottom side of the screen. - Tap anywhere to apply Brake.